Welcome to my page, I hope that the information you find within these pages both helpful and informative. My aim as a holistic therapist is to help people understand better as to how they can help themselves to feel their best, as naturally as possible. The information you will find on the following pages is my selection of of helpful hints, tips,thoughts and information which i consider to be useful for a better body in balance. 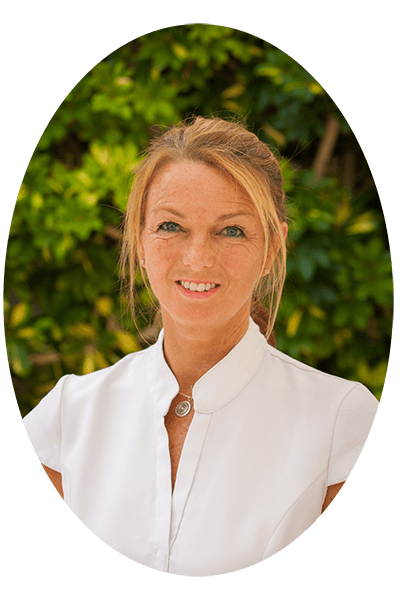 I was born in the UK and my training as a therapist first started as a school leaver, where i undertook a 2 year full time International beauty and massage course ( C.I.D.E.S.C.O. ) which was completed with distinction. Over the years numerous other qualifications have been added to the curriculum, mostly in the area of health and wellness and in the later years my interest in Chinese medicine prompted a trip to China to the International Exchange Beijing Massage Hospital where i was able to learn more of their concept of treating the body as a whole. This opened up a whole new understanding to me of the importance keeping the whole body in balance for good health.. i.e. mind, body, spirit . This philosophy has now become an integrated part of my life, both as a therapist and on a personal level. I am currently,and have been for many years living in Tenerife where i am resident therapist at the Diamond Resorts International Resort of Royal Sunset Beach Club. I have also recently opened the Wellness Center for massage,health and beauty at the Santa Barbara Golf & Ocean Club at Golf del sur Tenerife. *On the Therapies page you will be able to find a selection of Holistic Therapies and their explanations. I am also a registered member of APTN-COFENAT – Asociación De Profesionales De Las Terapias Naturales. C.I.D.E.S.C.O – 1986 inc Aromatherapy, Tension massage, Hopi ear candling. Spoken Languages- English, French, Spanish.